Cerveau Technologies, Inc. today announced a research collaboration agreement with Eisai Inc., which will enable Eisai to use Cerveau's [F-18]MK-6240, an investigational imaging agent, in Positron Emission Tomography scans to assess the status and progression of neurofibrillary tangles in the brain. elective serotonin reuptake inhibitors are the most commonly prescribed medication for major depressive disorder, yet scientists still do not understand why the treatment does not work in nearly thirty percent of patients with MDD. A large study jointly led by Queen Mary University of London and UCL aims to identify people at risk of developing Parkinson's, years before the condition is currently detected, with a view to treating and alleviating it at a much earlier stage. 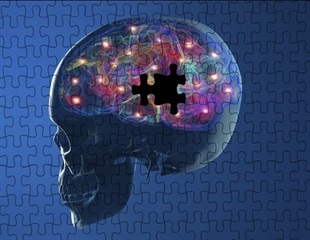 Researchers have developed an artificial intelligence platform to detect a range of neurodegenerative disease in human brain tissue samples, including Alzheimer's disease and chronic traumatic encephalopathy, according to a study conducted at the Icahn School of Medicine at Mount Sinai and published in the Nature medical journal Laboratory Investigation. Ben-Gurion University of the Negev has developed a new artificial intelligence (AI) platform for monitoring and predicting progression of neurodegenerative diseases to help identify markers for personalized patient care and improve drug development. High cholesterol has been found to be a possible risk factor for the development of motor neurone disease, according to a large study of genetic data led in the UK by Queen Mary University of London, in collaboration with the National Institutes of Health in the USA. What makes us human, and where does this mysterious property of "humanness" come from? Humans are genetically similar to chimpanzees and bonobos, yet there exist obvious behavioral and cognitive differences. The ALS Association and The Tow Foundation are pleased to announce their continuing support of the New York Genome Center's Center for Genomics of Neurodegenerative Disease, in recognition of the substantial genomic research being carried out by NYGC scientists. Years before symptoms of Alzheimer's disease manifest, the brain starts changing and neurons are slowly degraded. Scientists at the German Center for Neurodegenerative Diseases, the Hertie Institute for Clinical Brain Research and the University Hospital Tuebingen now show that a protein found in the blood can be used to precisely monitor disease progression long before first clinical signs appear.